How much is Alex Kingston Worth? Alex Kingston net worth: Alex Kingston is an English actress who has a net worth of $6 million. Alex Kingston was born in Epsom, Surrey, England in March 1963. She trained at the Royal Academy of Dramatic Art. In 1996 she starred as Katherine Roberts on the television series The Knock. One of her best known roles came starring as Elizabeth Corday on the TV series ER from 1997 to 2009. 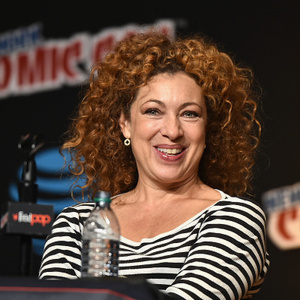 Kingston starred as River Song on the series Doctor Who from 2008 to 2015. She has had recurring roles on the TV series Crocodile Shoes in 1994, Lost in Austen in 2008, Hope Springs in 2009, Flashforward from 2009 to 2010, Law & Order: Special Victims Unit from 2009 to 2010, Marchlands in 2011, Upstairs Downstairs in 2012, Chasing Shadows in 2014, Arrow from 2013 to 2016, Shoot the Messenger in 2016, A Discovery of Witches in 2018, and The Widow in 2019. Alex Kingston won Screen Actors Guild Awards for Outstanding Performance by an Ensemble in a Drama Series for ER in 1998 and 1999. She was married to Ralph Fiennes from 1993 to 1997. You Won't Believe The Salaries Of The Top 20 WWE Superstars!